Phyllantus amarus better known as the Bhumyamalaki is an ayurvedic herb that promotes liver health. 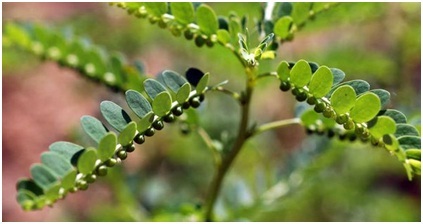 A herb that is bitter in taste but has many beneficial properties, Bhumyamalaki is recommended by Ayurvedic experts for treating many conditions. Ayurveda promotes the use of this herb as an excellent agent for balancing pitta and kapha doshas. I case of fever a small dose of this plant’s juice does the trick.